Notice how every major event in your life some how leads up to the next? That’s because it’s all connected. Let me help you to gain clarity, motivation and confidence to direct those events to create the life you really want to live. 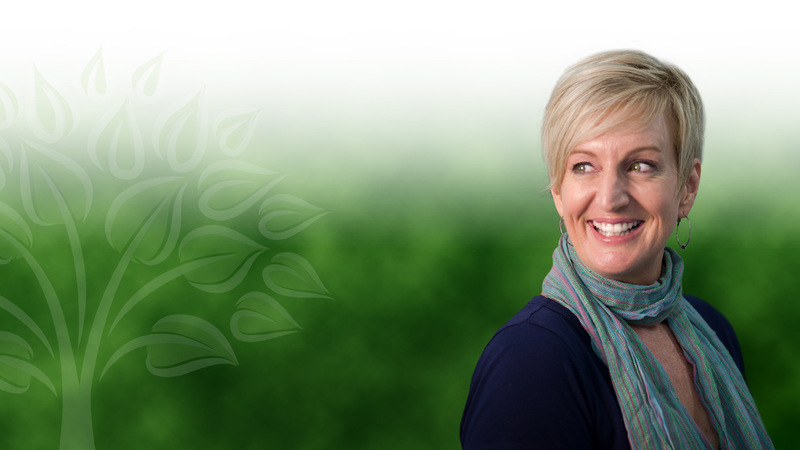 Hi my name is Annie, Head Coach at Canning Life Coaching, where it is all about the client. At Canning Life Coaching we are committed to enabling you to achieve to your highest potential. Together we will identify your goals, create a plan of action and with targeted support you will be enabled to achieve them. Let me show you how to increase your options by moving away from limited thinking. Make the change today – call me. What do the most successful people on the planet have in common? of people who engage a life coach are satisfied with the results. Get out of your head and take action now. Get in touch for a complimentary introduction session. Gaining clarity on what is important in your life, is a good start to achieving balance. By asking guided questions, CLC can assist you in developing a clearer understanding of your key drivers and support you to create a clear plan of action, tailored to your individual needs. Once in place, you are then able to move forward with confidence to achieve the optimum lifestyle you seek. Stop thinking and take action now. Call or email me to book a 30 minute complimentary session to see how CLC can positively impact your life. Canning Life Coaching provides professional support for individuals and businesses at any stage in their development. Call me now to find out how my expertise can help you improve your performance and achieve your business goals. In my experience, the highly effective life coaches and advisors are; naturally empathic, accurate listeners, and who have authenticity gained through their insightful perspectives of themselves and their astute observations of others. Those individuals will have successfully faced life’s personal and professional challenges and are willing to share experiences and problem solve together with others. Annie Canning has these qualities in abundance. She is a person of integrity and time spent with her will undoubtedly advantage you. Annie has worked closely with our senior management team and various work groups within the business. She is strategic and pragmatic in her approach and gets results. She connects with people at all levels and most importantly makes her sessions fun. With an incisive mind, Annie has an ability to cut through the noise to what really matters. Her direct, sincere and empathetic approach provides clarity and understanding. Annie has a strong focus on workplace culture and uses a sequence of steps and activities to drive cultural development and change. She displays a high level of empathy in her dealings with personnel and asserts herself as the situation demands. Her upbeat and positive approach encourages cohesion and supports businesses to develop safe, harmonious and productive work environments. She definitely goes the extra mile for her clients. For the majority of my professional career I have worked in Rotorua and the wider Bay of Plenty area. Before training as a coach, my specialist areas were in human resource and compliance functions across a range of industries and sectors. As an experienced senior HR and compliance leader I have worked in close partnership with CEO’s and senior management teams to drive business strategy and effect change. My work today comes from the transitions I have supported businesses through, and those that I have made personally on my professional journey. Today I specialise as a coach, trainer and consultant, working with clients who are serious about making a change, either personally or professionally, in a significant way. I am utterly passionate about people and their development. My husband, Roger and I reside in Rotorua. Having both travelled extensively, we have an appreciation for the magnificent lifestyle afforded to us here. We are a blended family with three gorgeous girls, a couple of pooches and a demanding cat. I hold certificates in Abundance Coaching, Life Coaching, and am a certified Source Code Coach and Hypno Abundance practitioner. ANZCAL Accredited Associate Level Coach. A life coach is a professional who helps you reach a goal or make a change in your life. They are like a personal trainer, but with a focus on your life goals. In a nutshell, CLC will get you out of your head so you can start taking action in the areas of your life that you want to change. Using guided questions you are taken through a process that helps you to evaluate and decide which steps to take in order to reach your goal or make an important change. During the course of the process, the role of the coach moves into one of motivator, strategist and accountability partner. My aim is to help you reach your goal in the most efficient, effective and satisfying way possible. CLC will work with you through the process, helping you identify your goals and establishing a plan to support their achievement. In addition, I assist you in identifying blocks and help you work through or around any obstacles in the way of your success. What doesn't a life coach do? I’m not a counsellor or advisor. At CLC we believe you have all the answers; through discussion, suggestion, brainstorming and reflection, the right path for you will become apparent. What is life coaching going to do for me? How will it change me? Coaching will help you gain clarity around what is really going on in your life. It will enable you to re-interpret your current situation in a different more positive way and provide you with tools and techniques to generate those lightbulb moments. As the process is applied, you will become more aware of your goals and have a clearer sense of direction and purpose. I’m there to encourage and support you, but also hold you accountable and challenge you to extend yourself. Without a doubt, your outlook and approach to life will be more positive, mindful, strategic and confident. Generally we begin with an introductory session where you will set some goals that you will work on in your coaching sessions. Between us we decide how many coaching sessions you will require to achieve your goals. You can decide on a session by session basis, however to gain traction I recommend that you commit to an agreed number of sessions. Session prices are $120 (GST inc.), and are approximately 1 – 1.5 hours in duration. A discount may be applied after five consecutive sessions. CLC tailor’s coaching packages and workshops to meet the needs of the client. Prices vary dependent on requirements. To see how CLC can positively impact your life, please book a 30 minute complimentary session. Contact +64 275 616160 or e-mail me to book a 30 minute complimentary session to see how CLC can positively impact your life.